Wouldn’t it be nice if you could just sleep through your dental procedure? Thanks to oral sedation during your dental treatment, you essentially can dream your way through! 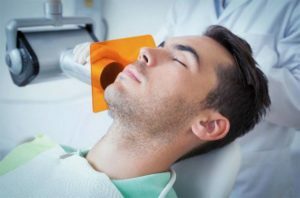 Sedation dentistry provides patients with the opportunity to alleviate their anxiety over their upcoming dental treatment. Whether you’re having a crown made, undergoing cosmetic treatment or getting dental implants, sedation is an excellent choice for just about everyone in nearly any situation. Dr. Sekhon chooses to use only oral conscious sedation over other types such as IV Sedation. It is a safe and effective way to provide our patients with a more relaxed experience in the dental setting. We will provide you with a prescription strength sedative at the time of your appointment. The sedative causes you to become very sleepy. Many people feel as if they actually are asleep and they report feeling that they had been dreaming their way through the rest of the appointment. During your procedure, however, you will still be able to answer simple questions. Because the sedative also contains an amnesiac, many people do not even remember the visit. It’s almost as if you slept straight through your appointment! The effects of the medication usually last for 4-6 hours before gradually wearing off. You will need to have someone come with you to your appointment, so that they can drive you home afterward. Oral sedation for dental care is very safe for all ages – including children. In fact, it’s a service that we offer to our own family members who need dental care. Dr. Sekhon will want to complete a thorough medical history review with all patients prior to recommending oral conscious sedation. Please provide us with a list of any medications that you are taking, including supplements. 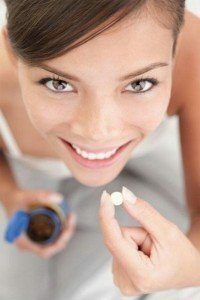 Not all medications interact well with those used for oral sedation. During your treatment plan consultation, we will discuss whether or not oral sedation is right for you. Careful planning will ensure that you have a safe and effective dental procedure. All treatment is provided by a general dentist. For more complex cases, we often refer our patients to a specialist for treatment. There is no need to put off your dental care because you are afraid of going to the dentist! Call Gallery Dental in Edmonton, AB today to learn more about oral sedation for your next dental visit. Bring your children in for their dental care as well!